Michigan Conservation Officers David Miller and Kyle McQueer received the Department of Natural Resources Lifesaving Award for search and rescue efforts earlier this year that saved a 25-year-old L’Anse, Michigan, woman. Miller and McQueer were honored at yesterday’s Michigan Natural Resources Commission meeting in Lansing. 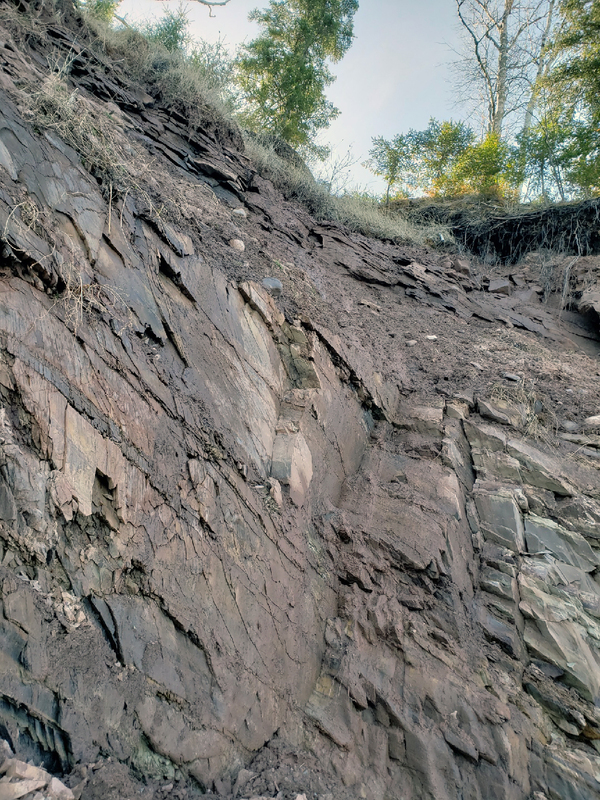 In May, Miller and McQueer received a call from the Michigan State Police Negaunee Regional Dispatch that a woman was stuck on the edge of a cliff overlooking Lake Superior. The woman told the dispatcher she was holding on to tree roots and wasn’t exactly sure of her location. Miller and McQueer responded to the area where MSP troopers were on scene. Troopers said the woman’s phone signal was showing her location to be about 700 feet north of Hanapaa Road, which is north of the village of L’Anse. “Just as we passed Hanapaa Road, we were flagged down by an individual who could hear someone hollering for help from somewhere down the cliff,” Miller said. 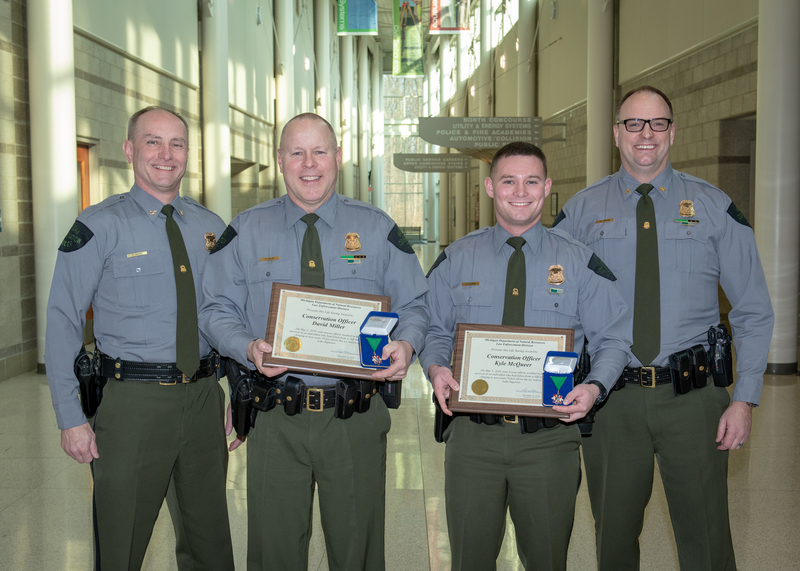 The two conservation officers located the woman partway down the face of the 70-foot cliff and worked their way down the cliff toward her. McQueer stayed at the top of the cliff while Miller descended the cliff until he reached the woman and could hold her in place. Huntington’s disease is a rare hereditary condition in which the brain’s nerve cells break down gradually, affecting physical movements, cognitive abilities and emotions. Miller called to McQueer to go back to the vehicle and get a tow strap or rope. McQueer returned with a tow strap and tied it to a tree, tossing the other end down to Miller. The woman held onto the strap while Miller lifted her to a safer place on the cliff face. “Once she was secure, all of the officers pulled her to safety,” Miller said. The woman was taken to her mother and did not seek any medical attention. Miller said the woman told him she wanted to visit a friend. While walking, she decided to go down to the lake. She put her leg over a guard rail and moved toward the lake, but lost her footing and started falling down the side of the cliff. She slid about halfway down the 70-foot embankment before she was rescued. 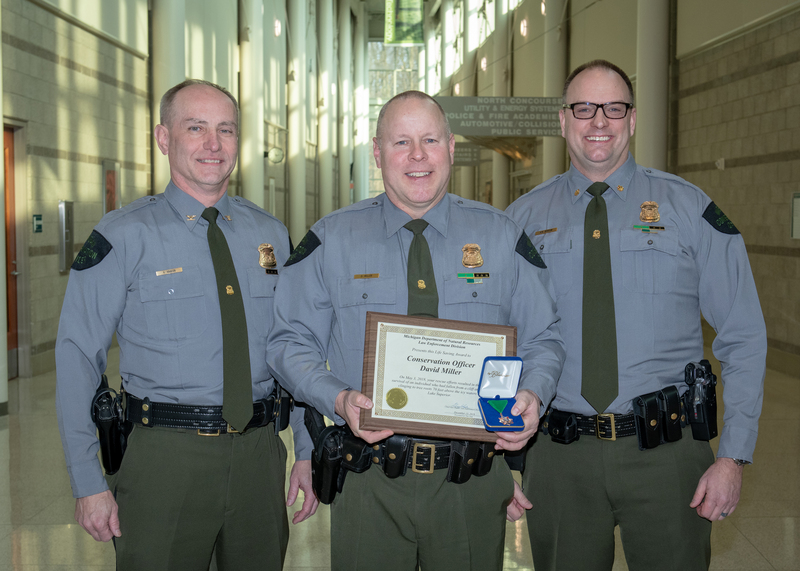 Miller is originally from L’Anse and has been a conservation officer since 1996. 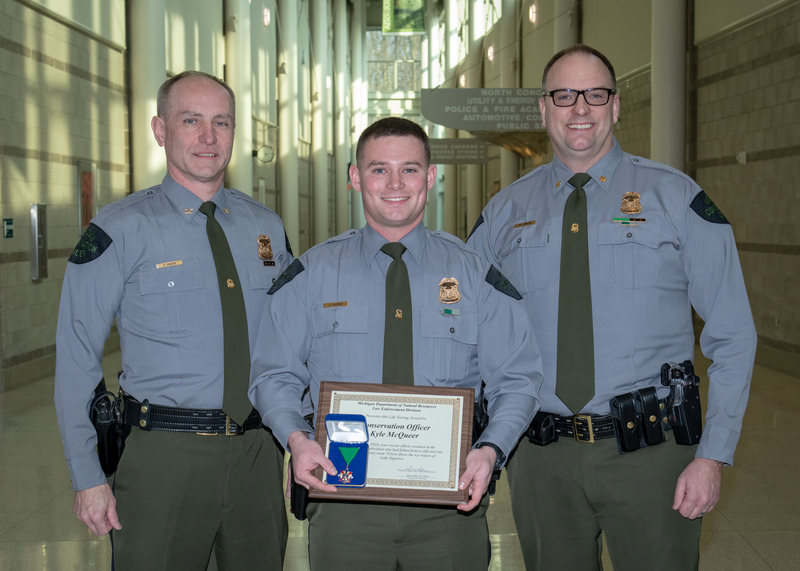 McQueer, from Otsego, Michigan, was hired in July 2017 and was working as a probationary conservation officer at the time of the rescue; he now serves St. Joseph County. For more information and pictures related to this rescue, read the May 2018 press release. Cliff-1: A view up the cliff near L'Anse, Michigan, where a Baraga County woman was rescued in May by two Michigan conservation officers. 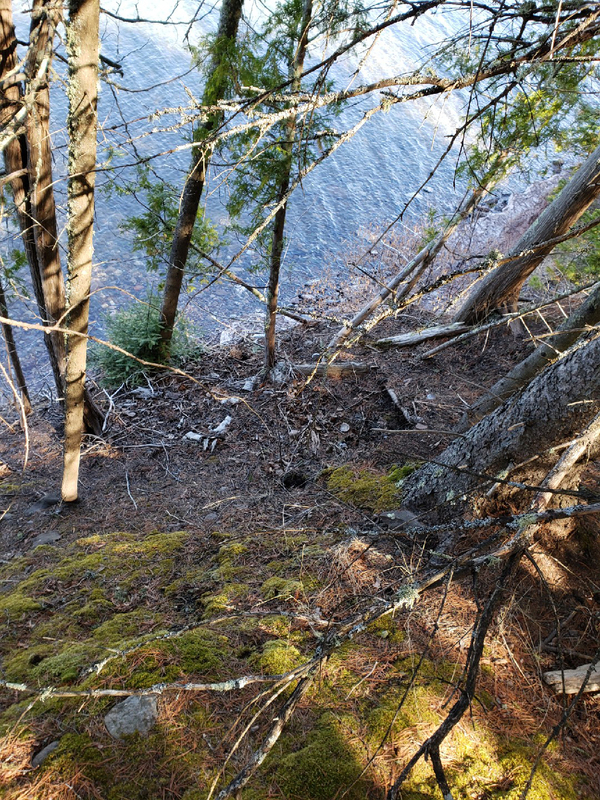 Cliff-2: A look down from the top of the cliff, to the Lake Superior shoreline below, where two Michigan conservation officers rescued a Baraga County woman in May near L'Anse, Michigan.